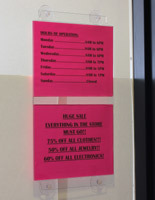 11" x 14" 22" x 28"
We needed a solution to taping signs to the doors in our retail stores. 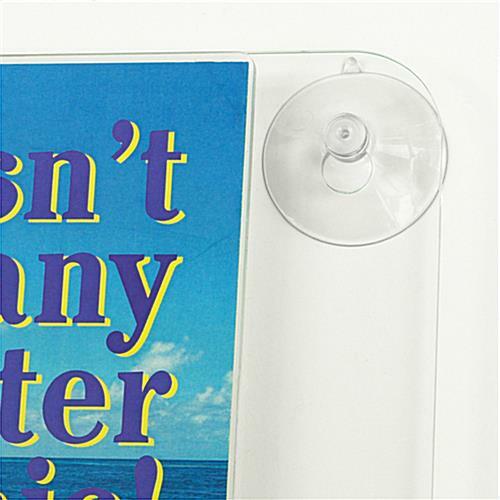 These window sign holders use suction cups that are easy to remove and keep the entry doors looking neat. Our staff love them and are asking for more. We've been there! It definitely isn't ideal to tape your signs to windows, only to scrape the tape off every time you need to change out your messaging. 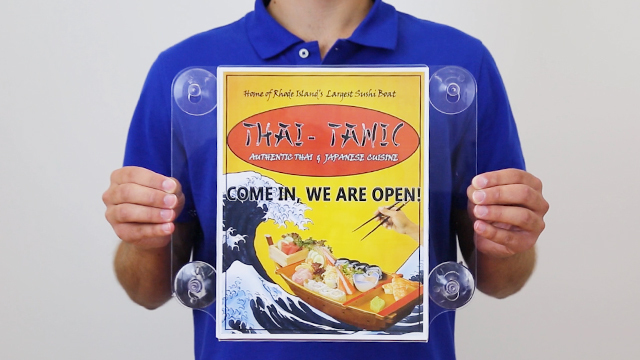 We're glad that these suction cup sign holders are making retail promotions cleaner and easier for you and your staff. Thanks for the great review, Judy! Thank you so much, Carlos! 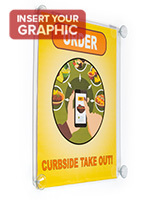 We take pride in the quality of our products, and we're glad that you found this window sign holder to be sturdy & reliable. 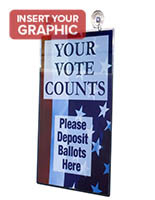 We hope you can continue to count on Displays2go for your business's display needs. Items were as described and arrived in good condition. Thank you for the excellent review! We're glad that our sign holders met your expectations, and we hope you'll continue to turn to Displays2go for your library's display needs. 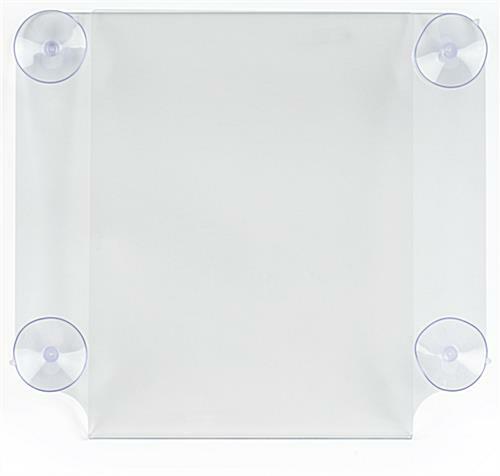 I ordered the Workshop Series 8.5 x 11 Window Sign Holder with Suction Cups, Double-sided - Clear . This has been a great purchase. 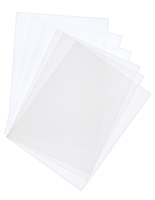 These keep employees from using tape on windows. Thank you for the excellent review, Shawna! Tape is no good on windows - it often feels like it merges with the glass and becomes impossible to peel off. 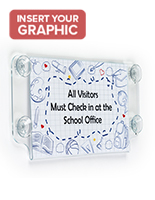 This suction cup sign holder is a simple solution to keeping your windows clean while displaying important messages. We're thrilled that this has worked out so well for you and your employees! 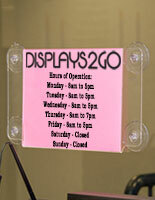 We hope you'll continue to find useful products for your business at Displays2go. 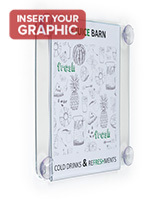 I always order these specific frames for classrooms across the college campus. They are perfect and once staff and deans see them, more are requested. Fast shipping! 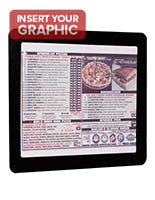 Displays packages well and constant email communication through and through with the whole transaction. We are so happy to hear that you've had such success with these frames, Nora! Thank you so much for your kind words of confidence in Displays2go. We appreciate your continued business with us tremendously!